Kolyma is a region located in the Russian Far East, known for its Gulag labour camps and gold mining, both of which have been extensively documented since the opening up of Stalin-era archives. // Old pier at Nagaev Bay. 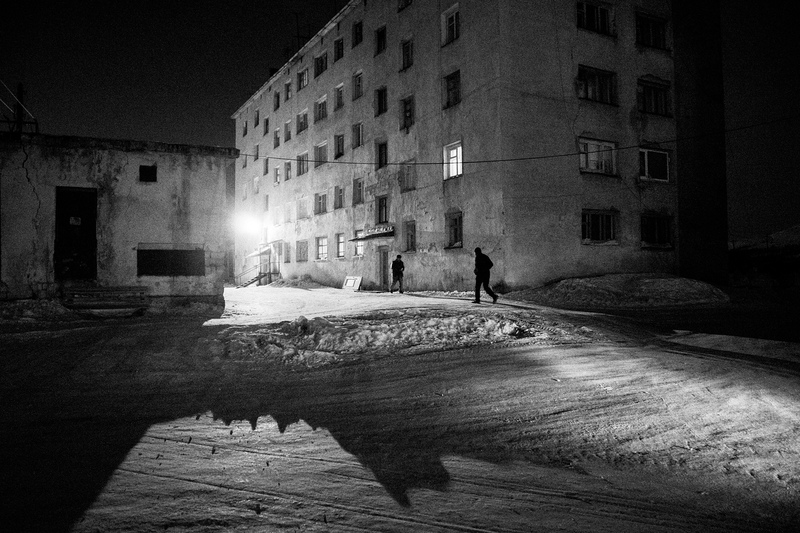 These photos were made as a part of Emil Gataullin's personal photo project. 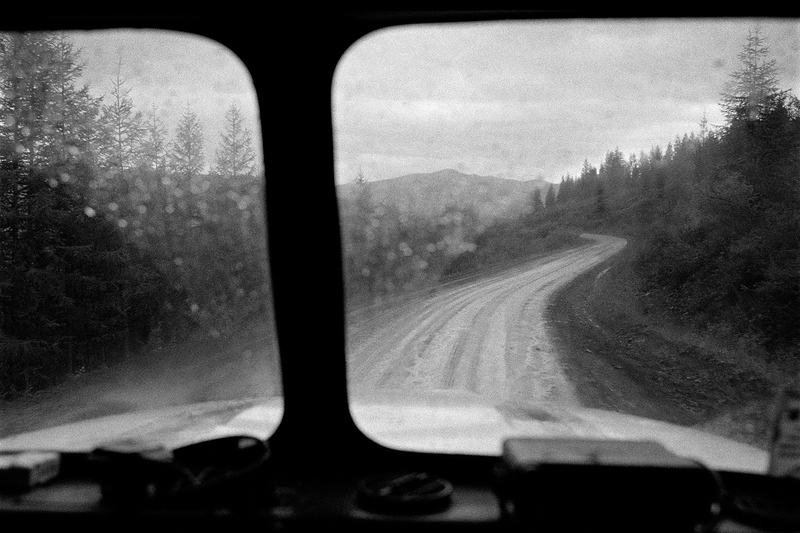 The Kolyma highway is the main road in the Magadan region. The track was built in the 1930-50s, mainly by labor camp prisoners. The Kolyma camps were some of the most brutal in the entire Gulag system. About 120000 - 130000 prisoners are estimated to have died in Kolyma alone. 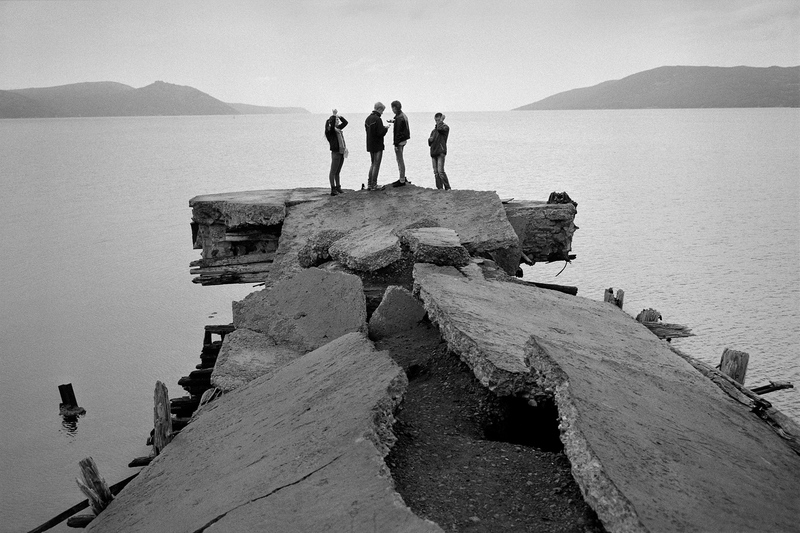 Magadan is the capital of Kolyma, becoming the focal point of regional development when the first Soviet prisoners arrived in 1932. 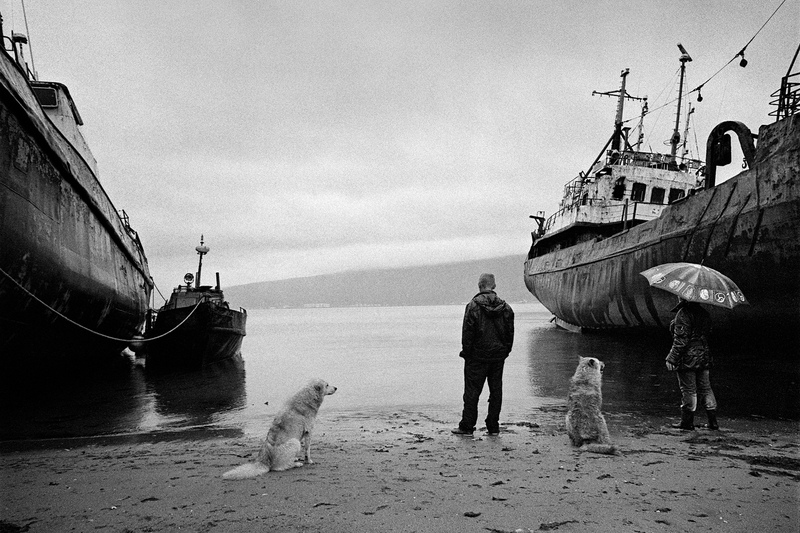 Today's Kolyma still lives in the shadow of its frightening past – the era of brutal exploration at the expense of human life. But traces of the epoch are disappearing. Only nature remains witness to history and a silent monument to the hundreds of thousands of prisoners who worked there and died. Natalia Khayutina is the adopted daughter of Commissar of Internal Affairs Nikolay Ezhov. The period of harshest repression in 1937-38 - known as "Ezhovschina" - bears his name. 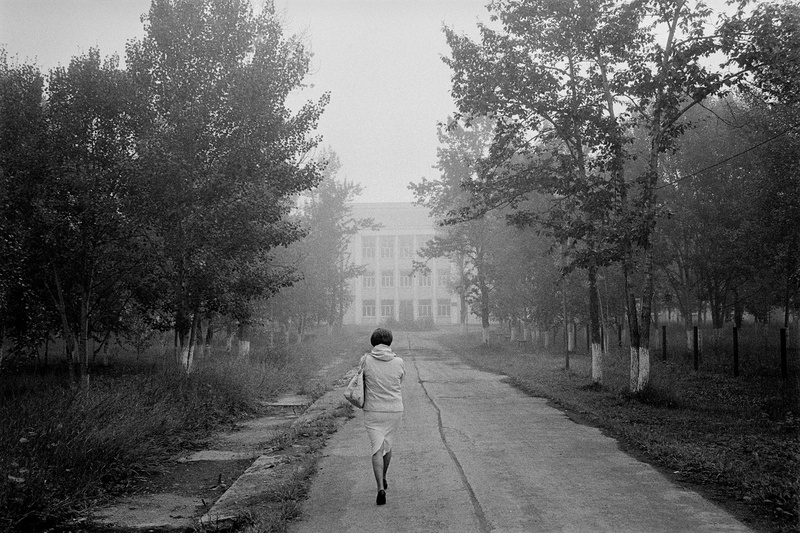 Following Ezhov's arrest, Natalia was sent to an orphanage. She graduated from music college and voluntarily went to the Far North, where she worked in a music school until retirement. 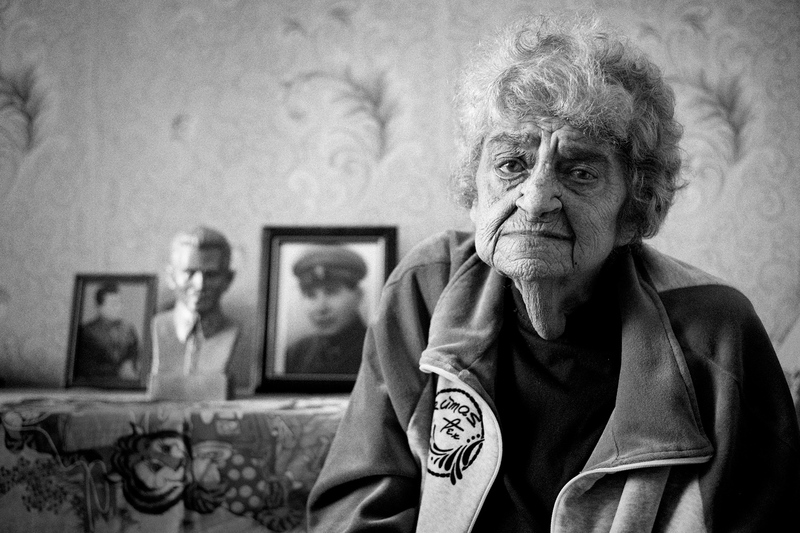 Very few witnesses of those times remain; most of today's Kolyma dwellers were born and grew up decades after. 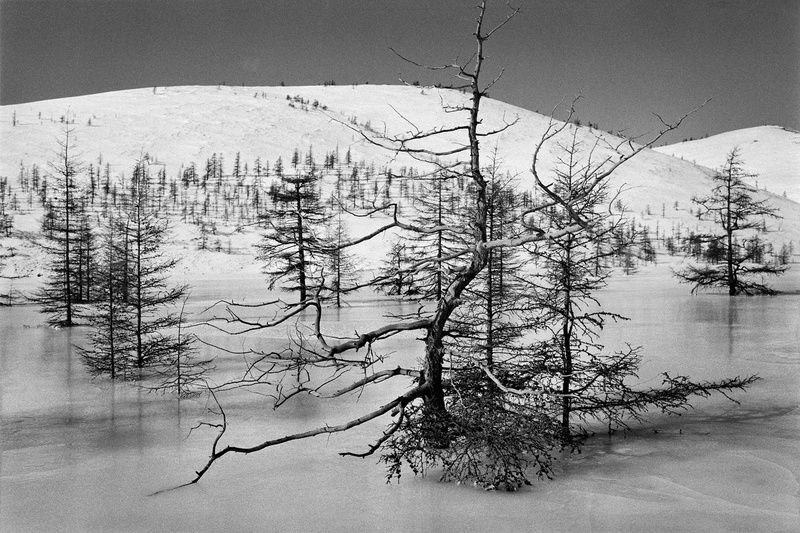 Kolyma's most pressing issue these days is desolation. Not only monuments, but whole villages are disappearing. 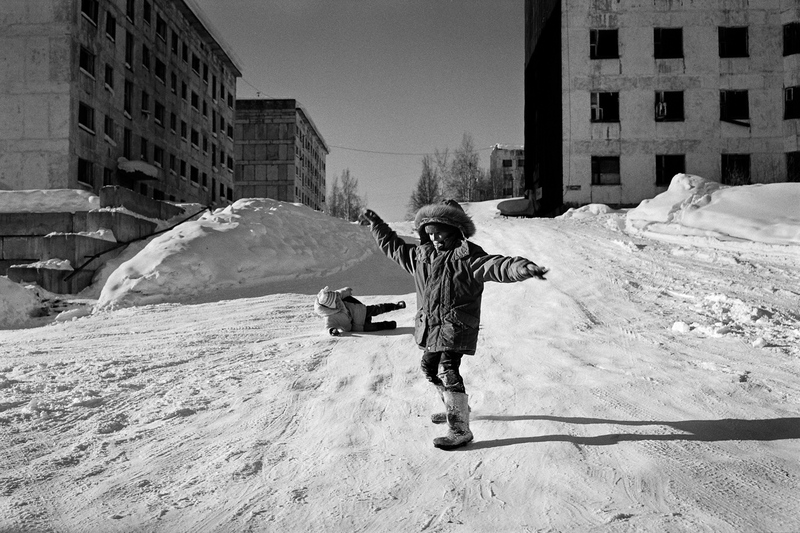 Sinegorye is the youngest town in the Magadan region. It was built in 1971 as a base for hydropower generation. Yagodnoe is one of the largest residential settlements located along the Kolyma highway. Some enterprises, institutions and schools still operate here. In the 1950s the village of Atka was home to more than 3000 inhabitants, many of them workers on the highway that served the gold mines. Now about 200 people live there in four 5-storey buildings. There is also a school, a library, a kindergarten, a town hall and a first-aid station. With the remaining buildings dilapidated, the village is preparing for resettlement. In 1995 the Karamken mining and processing plant was closed down. In 2012 Karamken lost its status of urban-type settlement, and is now in the resettlement list. 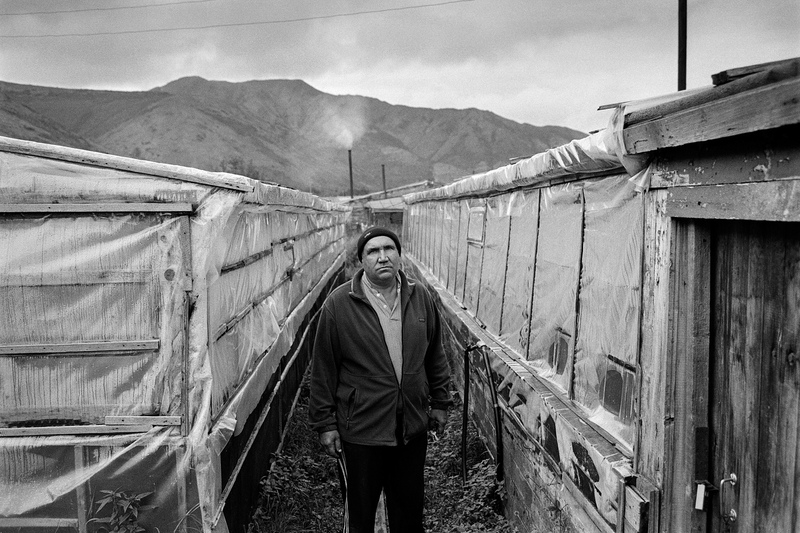 Valeriy is one of the few remaining residents. He cultivates cucumbers in greenhouses heated with firewood. 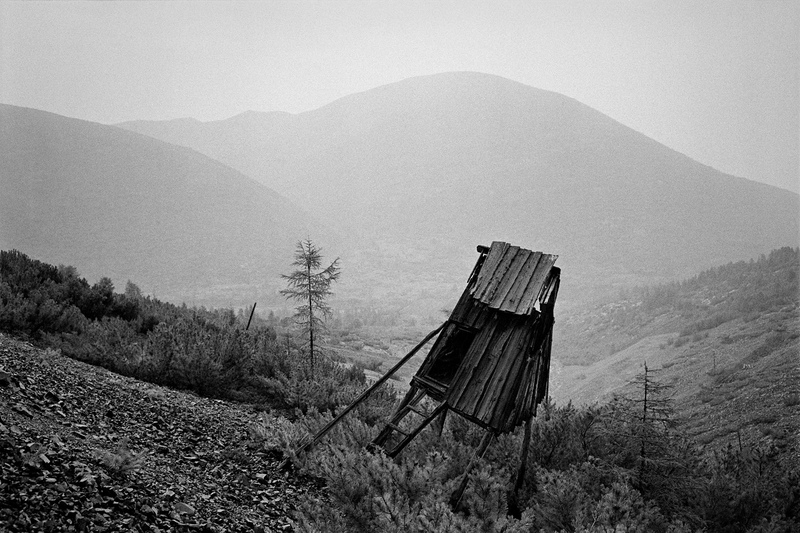 Kadykchan is an abandoned mining ghost-town. 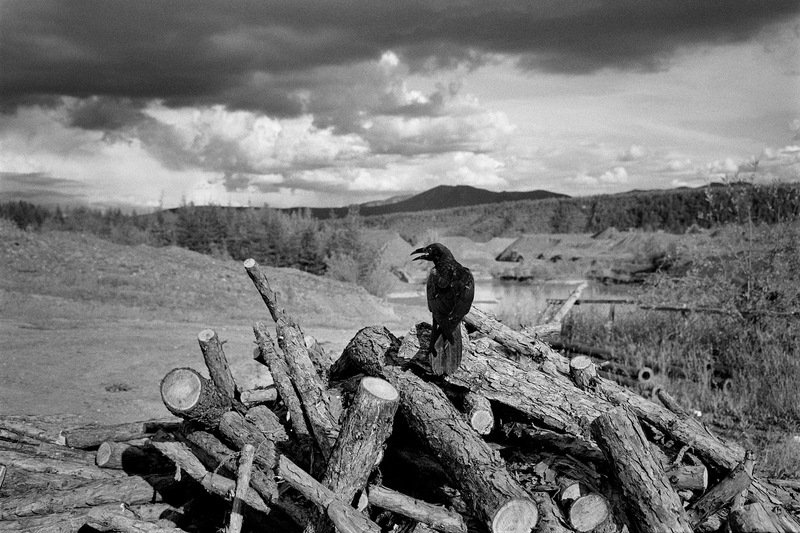 The village was built by Gulag prisoners, among whom was the writer Varlam Shalamov. 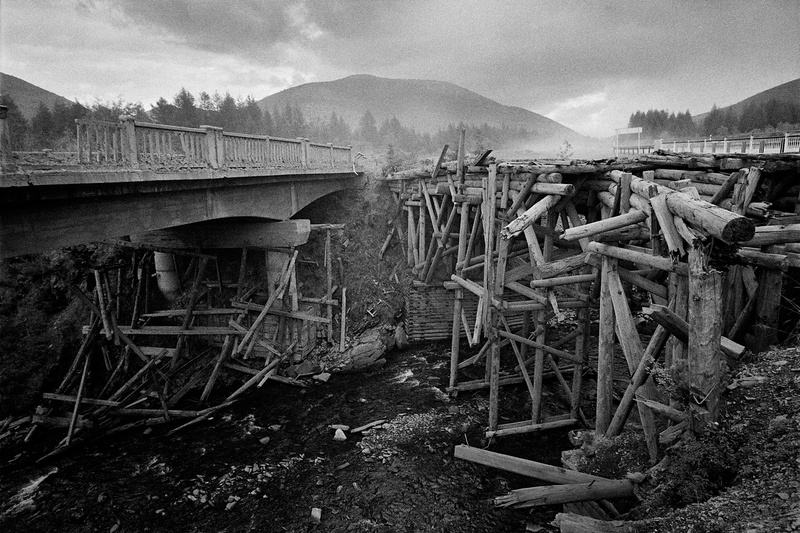 After an explosion at the mine in 1996 Kadykchan was closed. All residents were evicted, houses were cut off from utilities and services, and the private sector was cauterized, so people didn't come back. 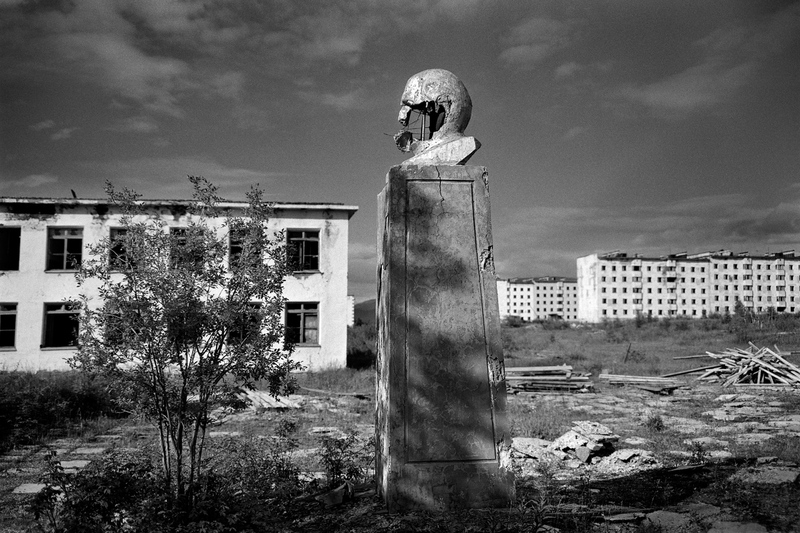 A bust of Lenin on the central square was shot to pieces by the last residents to abandon their homes. In the 40s-50s the valley of Spokoiniy (Calm) brook contained a forced labor camp, which was also called "Kolyma penalty." The camp operated a strict regimen for recidivists and repeatedly convicted criminals. Here was a mine, where prisoners worked, including Varlam Shalamov in 1943-44. This is the central hospital for prisoners of Sevvostlag in the 1940s. In 1946-1951, Varlam Shalamov worked here as a paramedic. For anyone interested in the history of the Gulag, Shalamov’s collection of short stories Kolyma Tales is essential reading - a fine alternative to Solzhenitsyn’s work with its contrasting style and philosophy. Varlam Shalamov, who survived 17 years in the camp system and wrote as powerfully and brilliantly as Solzhenitsyn, failed to gain much recognition in Russia or abroad. 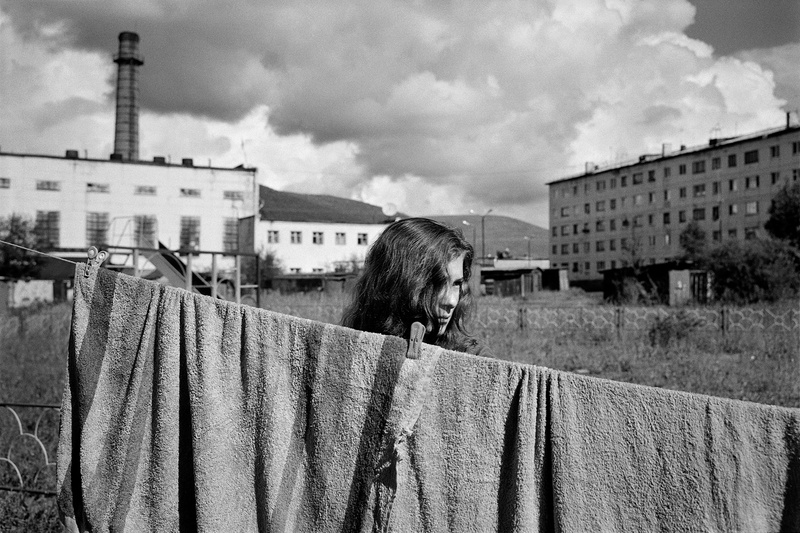 // Dneprovsky is one of the few extant camps of the Kolyma Gulag. From 1941 to 1955 there was a pit tin mine where ordinary prisoners, "especially dangerous criminals" and former Soviet POWs labored. 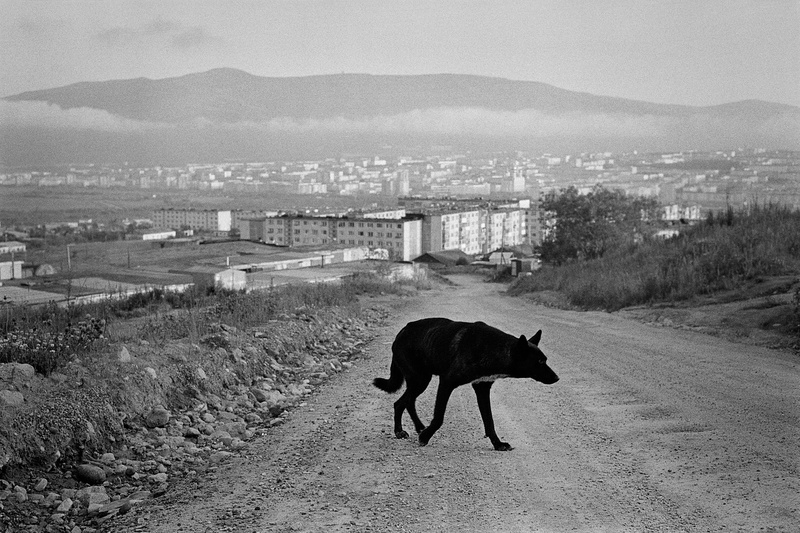 The name for this series of photographs about modern Kolyma "In the Shadow of Time" was not chosen randomly. It is a line from a poem by Varlam Shalamov, who managed to convey the grandeur of Kolyma's nature, and the horror of Stalin's camps. What is Kolyma today, more than half a century after Shalamov?